Mark Twain is reputed to have quipped, “Reports of my death have been greatly exaggerated.” Such hyperbole aptly applies to predictions that digital reading will soon triumph over print. In late 2012, Ben Horowitz (co-founder of Andreessen Horowitz Venture Capital) declared, “Babies born today will probably never read anything in print.” Now four years on, the plausibility of his forecast has already faded. It’s understandable why Horowitz spoke so boldly in 2012. Since the 1980s, a growing number of us have been reading on digital screens, and an initial round of eReaders such as Sony’s Librié and Gemstar’s Rocket eBook Reader captured the fancy of some early adopters in the late 1990s and early 2000s. But late 2007 marked a watershed. The coming of the Amazon Kindle – with inexpensive eBooks to read on it – launched a sales tsunami that shook up the publishing world. During the next five years, triple-digit growth for electronic books was to become the new normal, driven both by the enticement of novelty and a cluster of mega-sellers such as Fifty Shades of Grey, Hunger Games, and Divergent. Figures for print paled in comparison. But then the wave crested. For the first half of 2013, sales of children’s and young adult eBooks plunged 46% from the previous year-to-date. The Association of American Publishers reported that by year’s end, overall eBook sales for 2013 had risen only 3.8%. A bevy of factors have contributed to the growth of eReading. Digital books are convenient to carry around, and they generally cost less than their print cousins. With massive increases in online education, it’s not surprising that most course materials assigned for these classes are electronic. It’s also hip to be reading eBooks. One group that cares intensely about convenience, saving money, and moving with the “in” crowd is young adults. Are they die-hard fans of e Reading? I decided to ask. What about younger readers? The publisher Scholastic conducts bi-annual surveys of kids ages 6-17. In their most recent iteration (data collected in Fall 2014), Scholastic found that 71% of 12-14 year-olds agreed with the statement “I’ll always want to read books printed on paper even though there are eBooks available.” This number compares with only 54% who agreed in the 2012 survey. Reports from publishers are confirming these user patterns. eBook sales are dipping in both the US and the UK. For those in the academic world, another preference indicator is what university faculty say about their research practices. A recent survey reported that when faculty wanted to read a scholarly monograph cover to cover, almost 80% indicated it was easier to do so with print. About two-thirds expressed the same preference when reading a section of a book in depth. According to the old adage, “It ain’t over till the fat lady sings.” While the phrase may have originally referenced opera, it works well in thinking about the future of the written word. 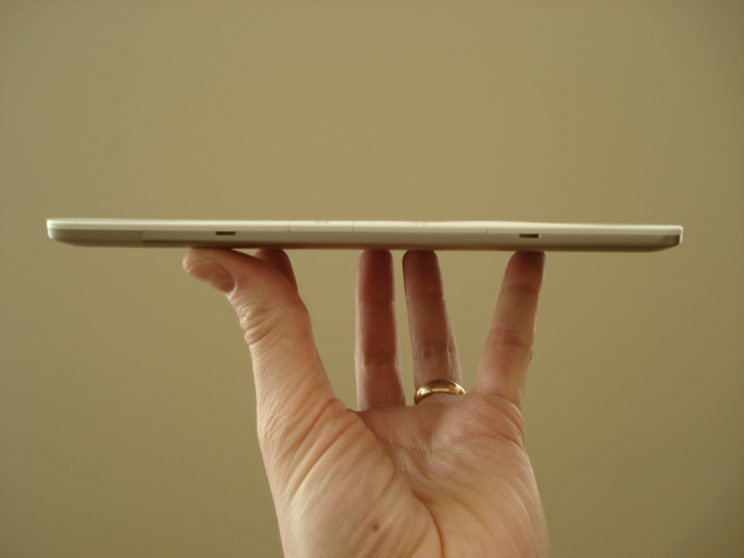 In 2006, no one could have foreseen the astounding development of eReaders and eBooks. (Fifty years earlier, no one anticipated personal computers or Google.) These days, there is much talk about a “both-and” world: some digital reading, some print. A growing number of publishers and distributors are bundling eBooks together with print, at only a small additional cost. So far at least, the jury remains out on the future mix of print and digital media. My bet is that for some time to come, readers will have the chance to follow their own preferences. The fat lady has not yet sung. Featured Image Credit: “Diving into Digital Books 4” by Jennifer LaGarde. CC BY-SA 2.0 via Flickr. Naomi S. Baron is Professor of Linguistics and Executive Director of the Center for Teaching, Research, and Learning at American University in Washington, DC. She is the author of Always On: Language in an Online and Mobile World (2008). 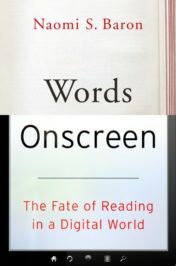 Her latest book, Words Onscreen: The Fate of Reading in a Digital World (2015), just appeared in paperback. Print will not disappear, but like other obsolete everyday things–old cars, muskets, horses–will become the toys of rich hobbyists. There is already a market for handcrafted arty printed books; that will continue as long as the 1% have the means to become collectors.